Beware of Puerto Vallarta Timeshare Promoters? Are you curious if you should be wary of the timeshare promoters that greet your flight when you arrive into the Puerto Vallarta Airport? Most people do their best to quickly bypass these salespersons and get on their way to their destination. However, you should be aware that the timeshare promoters that work inside the Puerto Vallarta airport are associated with reputable timeshare companies so it may be worth your time to listen to their spiel. Read below for more timeshare promoters in Puerto Vallarta. 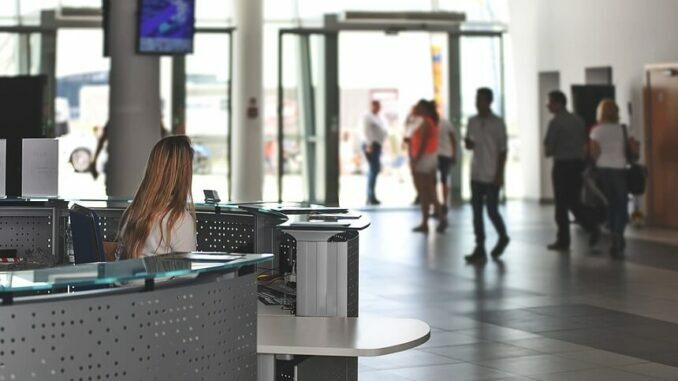 A great way to decipher which timeshare companies are trustworthy is to recognize which companies are allowed to work inside the airport and which ones are not. Only legitimate timeshare companies like Villa del Palmar and the Villa Group Timeshare are authorized to operate inside the airport. Be aware that if you are approached by a timeshare promoter outside the airport, in the parking lot or even by a taxi driver, it is highly likely that they are fraudulent promoters who should not be trusted. In addition to working inside the Puerto Vallarta Airport, Villa del Palmar timeshare promoters are found in a variety of other locations throughout Puerto Vallarta. Villa del Palmar timeshare promoters will carry official ID which means that they have permission from the local authorities to legally promote Villa del Palmar or the Villa Group timeshares. If you don’t find yourself speaking to a timeshare promoter in person, you can still learn more about the timeshare opportunities available on The Villa Group Resorts vacation ownership website or schedule a timeshare presentation and tour of the resort so you can see it up close for yourself what a timeshare investment could mean for you. The Villa del Palmar timeshare promoters know the area well and can offer great advice on things to do and see while on vacation. Villa del Palmar timeshare promoters are highly trained and one of their top priorities is to provide great customer service. Villa del Palmar works hard to maintain its positive image and keep Puerto Vallarta as a top vacation destination location. If you decide to attend a Villa del Palmar timeshare presentation, an added benefit is that you will likely qualify for a special gift or discounted tour. Definitely ask the promoter for more information so that you don’t miss out on all the great discounts available. Villa del Palmar timeshare promoters are focused on helping you make the most of your vacation experience. However, if for some reason you have a negative experience, please notify Villa del Palmar directly so they can maintain their great reputation as a premium vacation destination timeshare provider.